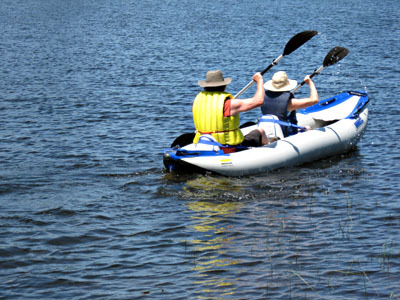 We've added a whole new element to our RV adventures with an inflatable boat! 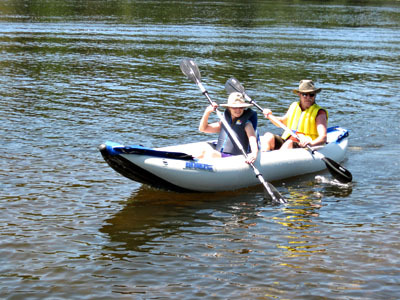 Randy and I in our new 2-person kayak. On our travels we often find ourselves camped by a lake or river and, in the past, we've always lamented our lack of water access. 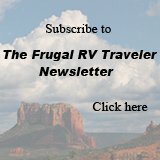 At the same time, we realized that we just don't have an RV that's set up for carrying a boat of any kind - even a canoe or kayak would be too cumbersome. And we certainly don't want to start hauling a bunch of extra weight or drag a trailer behind us. 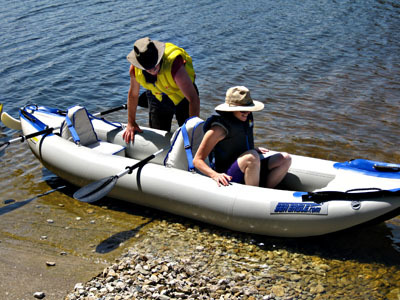 So, for several years now, we've been thinking about buying an inflatable boat that would take up very little room when stored inside the RV but provide us with the opportunity to get out on the water. This summer we finally "took the plunge." We compared models at various locations, but ended up finding the best buy over the Internet. It's the biggest purchase we've ever made on line! We've taken our new inflatable boat on several excusions this summer but I've resisted writing about our new "toy" until I was sure we had tested it out and that we'll be completely happy with it. As it turns out, we couldn't be more pleased! Sea Eagle has been making inflatable boats for over 40 years. We chose them because they have an excellent reputation, a great warranty, a durable product, great reviews, and, of course, all at a reasonable price. There are all kinds of inflatable boat sizes and styles but we chose the 2-person kayak because we're not big on fishing, don't need a motor, want to be able to go out alone or together, in both lakes and rivers and most importantly because, folded down, it will fit into the limited storage we can afford to give up in our small camper van. I'm not a strong swimmer, so stability was also important. Nothing to worry about there. Even on rough water, the boat is very stable. Only if both of us are leaning the same direction and far over the edge of the inflatable boat, is there any indication that we might be able to tip it. We were slightly concerned that an inflatable boat wouldn't track as well as we would like on a lake, but we discovered it tracks as straight as any other kayak or canoe we've ever used. 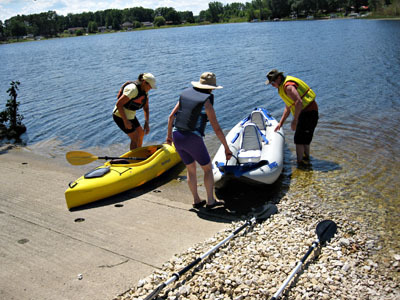 And you might think that it would be slower than a regular kayak but remember that you'll have two people paddling. In this test run. 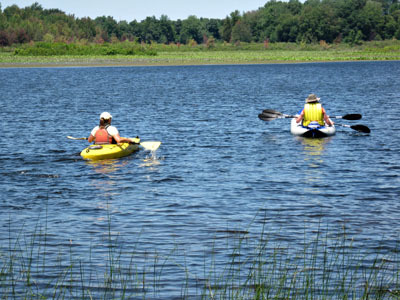 Randy and I had no trouble keeping up with our friend, Julie (a strong paddler), in her regular kayak. Paddling beside Julie, a seasoned kayaker, we had no trouble keeping up with her. Of course there is the hassle of having to inflate and deflate it every time. But, even that isn't bad -- we've got it down to 10 minutes for the set up and the deflating process is just as fast. 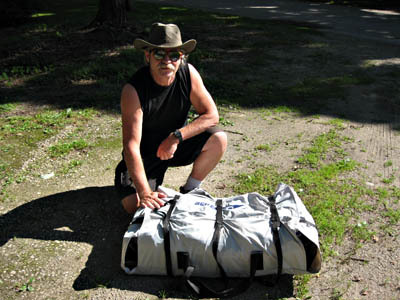 Whereas it usually takes two people to carry just one regular kayak, Randy can easily carry the 45 lb pack that holds the boat and the seats to the water's edge by himself. I carry the paddles, lifejackets, foot pump and our lunch and we've brought down everything we need in one trip. By reversing the foot-pump (included in the kit), it's a breeze to get all the air extracted so the boat folds easily down to its original size. We love the inflatable seats too. They easily clip on and off the kayak so, when we pull over onto a beach, we just unclip them and set up our sturdy comfortable "beach chairs." On our last excursion, while on the middle of the lake, we easily turned my seat around to face Randy's. This is how we enjoyed our picnic lunch, basking in the sun! Because the inflatable boat is so stable, this manoeuvring while on open water was no problem. 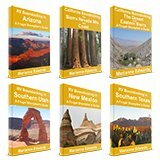 We're pretty excited with the thought of being able to explore lakes and float down river rapids on our RV travels. This new toy will probably help to determine the route of our next extended trip, which we are just starting to plan. 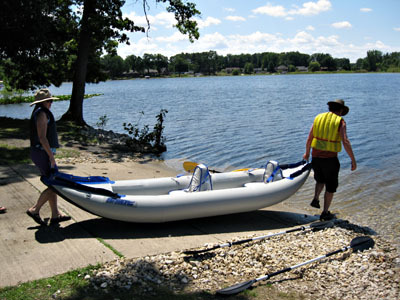 Here is the kayak, including the seats, deflated, and folded into its pack. However, for us, there is a price to pay. The inflatable boat takes up roughly a quarter of the storage space under our double bed in the camper. Sadly that's the spot where Randy's guitar was always stored on our previous trips. We solved that by buying a small travel guitar. It's small and lightweight and is strapped to the ceiling over the bed. Even in a small RV, we can have the extras that matter to us: water access in an inflatable boat and a guitar by the campfire at night.